Sony is no stranger in the audio industry. They’re swinging left and right in the market with Headphones, MP3 Players, Wireless Speakers and more. 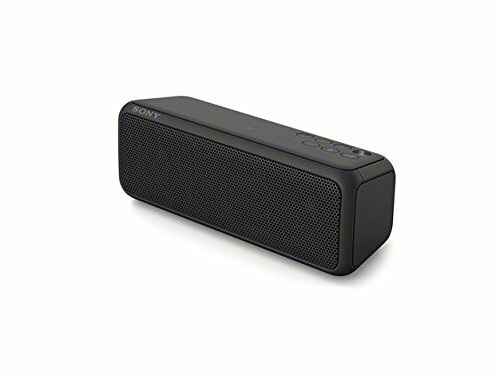 This time we’ll be taking a look at the Sony SRS-XB3 Portable Wireless Speaker with Bluetooth. To start things off, the SRS-XB3 itself looks pleasing to the eyes with its curved edges, non-protruding buttons, and lively color. We also liked that it’s IPX5-rated, which means that while it won’t survive a dip in the swimming pool, it would survive and shrug off water splashes. During our tests, the SRS-XB3 had no issues with water splashes, its audio staying crisp and clear throughout. One the main selling points of the SRS-XB3 is the EXTRA BASS, which enhances the bass experience. You can toggle the EXTRA BASS on or off with the press of a button. However, during our tests we have noticed some reduction in audio quality when EXTRA BASS is off. This prompted us to question the point of having the button – everything just sounds better with it on. There is another button on the speaker to toggle your voice assistants. This helps when you are far from your phone and require a song change, as there are no music navigation buttons. It is worth noting that for a wireless speaker, the sound quality of the SRS-XB3 is admirable, being able to tackle most genres without any problems. A portable speaker would be useless if it could not provide the room with ample sound. We have tested the speaker in small rooms and in our office, and we could still hear the speaker, even when the volume is not fully maxed out. The SRS-XB3 can also be paired with another unit easily with just a press of a button, giving you stereo sound. What’s more, the speaker’s battery could potentially last up to 24 hours. It even has a USB port to charge your other devices, but only when the speaker is on. Packs a punch for a portable speaker, worth looking at if you are in the market for one. Charge the built-in battery.Make sure the AC adaptor is firmly connected to the speaker and the AC outlet.